Many companies in India, without considering the benefits of hiring a freelancer to develop their new website, end up hiring a web development company. This is because, they might not know the benefits of hiring a freelancer, and might simply look for web development companies in Chennai or Bangalore on google, and approach the first few companies that came up in their search results. There is nothing wrong in hiring a web development company, as long as they have an old school thought that, hiring a company with more staff is more reliable. At the same time, for smaller companies, this may not become the best decision. Here is a list of ten reasons, proving the benefits of considering hiring a freelance web developer, instead of a web development company. Cost Effectiveness – This is one point which every company, irrespective of its size, would definitely consider. An average freelancer will not bear those expenses of an established web development company such as an office space. All that they might have is either none or a minimal number of staff. This can be one of the saving factors for you as a client. Dedicated resources – It is certainly not possible that you are the only client of the web development company you have hired. It is quite natural that, for the amount of staff they have, they can afford to execute more than one project at a given period of time. Thus, they tend to give more importance or dedicate more time to huge projects and might consider smaller projects of smaller companies less important, although it is very important for you. A freelancer tends to work from project to project or have only a handful of projects in hand, which means they can focus more on your project, thus becoming a dedicated resource. Less time for completion – A web development company will follow a traditional Monday to Friday and 8 hours a day schedule. A Freelancer tends to work often more than 5 days to complete the project as early as possible. However, we should not forget the fact that freelancers or also humans who need rest. Direct chain of communication – Usually in web development companies, there will be an account manager who passes your information on requirements and changes to the developer. The developer will implement them and then advise the account manager about it. Then the account manager passes this information to you. In case of freelancers, you may directly contact them to provide them information with requirements and changes, thus saving a lot of time. Wide range of choice in terms of skill and cost – While hiring freelancers, you may search for the best talent across the world. This is very obvious in western countries, where they try to outsource their projects to countries which are the best market place for highly skilled labour, at the same time cheaper. Pay only for, the expertise you need – When you hire a web development company, you will tend to pay for resources which may not be very important for your project. When you hire a freelancer, it’s very likely that you will look for only the core expertise required for your project and hire accordingly. Keen attention to your project’s details – As mentioned earlier, unlike freelancers, it is very likely that web development companies execute more than one project at the same time. It is obvious that they may not pay attention to details as much as a freelancer does. 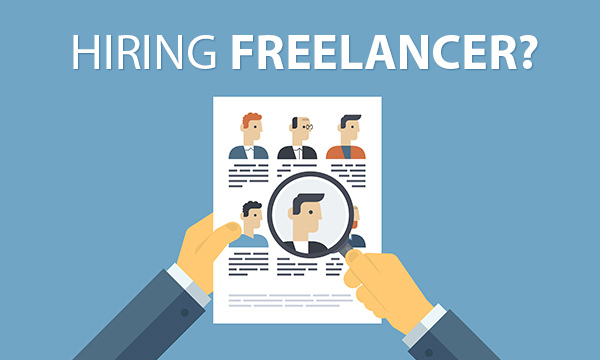 Freelancers do have good network – Just like web development companies, freelancers do keep connection with designers, copywriters, and search engine optimization experts, who also do offer their services on a freelance basis. By hiring a freelancer, you will still get the whole package required to come up with the best website. More innovative – While large web development companies also can be innovative by adopting the latest and cutting edge technologies, freelancers are more innovative and receptive as they are not bound by any pre-conceived attitudes. They easily step in and employ cutting edge technological solutions to your business ideas. Future availability – You will see that majority of freelancers are always on their toes to learn new skills and improve the skills they already possess. They will always tend to keep in touch with you for improving and upgrading your websites, according to the latest technologies in the market. Author Bio: The Author of this article has over 8 years of experience as a Freelance Application Developer. With his extensive experience, he now very well understands what benefits companies see in hiring freelancers instead of companies.